Social media in the hands of a teenager can be a dangerous thing. Never before have young girls been as bombarded this much with ideas about how they should act and who they should be. I wish I could hug each and everyone one of them and tell them that the only thing they should be, is themselves. Image credit: The Paper Bunny. When Cindy asked me to join a brand new platform she was creating to empower and inspire young girls, I immediately said yes! Believe by Design supports the empowerment of young girls through a collection of artwork with positive designs and messages. 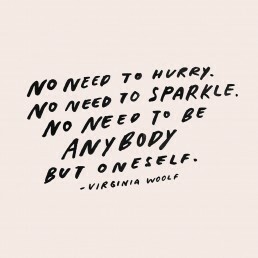 Our mission is for you to feel good about yourself every day and believe your inner strength. The idea is that artists from all over the world share their love and positivity through their art and design. 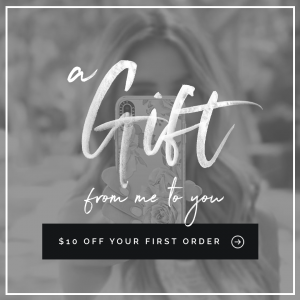 On their platform they sell various art designed products such as art prints, pillow- and phone cases, travel tumblers and clipboards. Combine several prints for a fun look! I created five unique artworks specifically for Believe by Design. 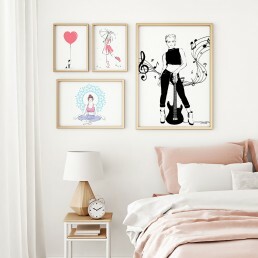 Each of them depicting a different girl with her own strength. Rock Star – She lives for the sound of music! Dressed in black and strumming her electric guitar, she’s a rock star! Girl Boss – She’s not one to follow orders. Instead she pursues her own ambitions with an air of confidence, she’s a girl boss! Dancing in the Rain – She faces life’s challenges head on and enjoys the journey. She doesn’t wait for the storm to pass, she’s dancing in the rain! Have a Big Heart – She cares for others and puts their needs before her own. Kind, generous and compassionate, she has a big heart! Meditate – She’s focused on her breathing, putting an end to her racing thoughts. Silent and calm, she meditates! Dancing in the Rain iPhone case. If my own teenage years are any indication, there’s only so much space a young girl has on her bedroom wall. Luckily Believe by Design also sells some other fun products with my prints on them. 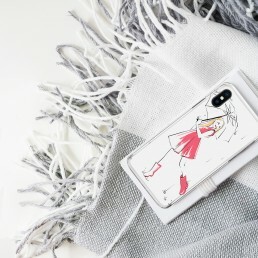 If you’re a little clumsy like me, having a cute phone case might not be such a bad idea. 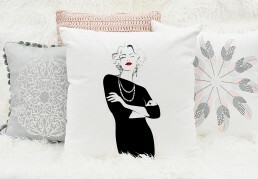 Or what about a fashionable throw pillow for your bed? So cute! One of my personal favorites are the travel tumblers that will keep your drink hot or cold as you take it with you to school – or work if you’re an adult. Because keeping hydrated is important, but doing it in a fashionable way makes it fun! 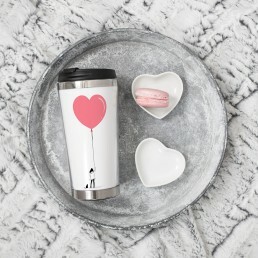 Have a Big Heart travel tumbler. What is your favorite artwork from the new collection? Do you have a message for the future generation of women you’d like to share? Let me know in the comments below. I love this Esther. You have displayed your artwork so beautifully. Thank you so much for your amazing work and support. Be the first to know about everything that's going on in the studio!